Nice standard, but since the "12" on the label and the price hike in the direction of 50 € I like less to the QR than before. Nevertheless - always a good recommendation for beginners who want to go in the fruity direction, good example of successful portfinish. Cherry, blackberry and blackcurrant juice with dark chocolate and a little bit of spice, slightly tingling in the mouthfeel, like (too) strong bubbly water, the longer in the mouth, the sweeter and spicier it becomes. Amazing right from the first sip. I like it! At first a cooling mint from the alcohol. After a minute or so in the glass, it's starting to transport the aromas. Now with some dried plums, raspberries, ripe apricots, underlying vanilla and toffee, sandalwood, bitter chocolate or baking cocoa. Beautiful nose! 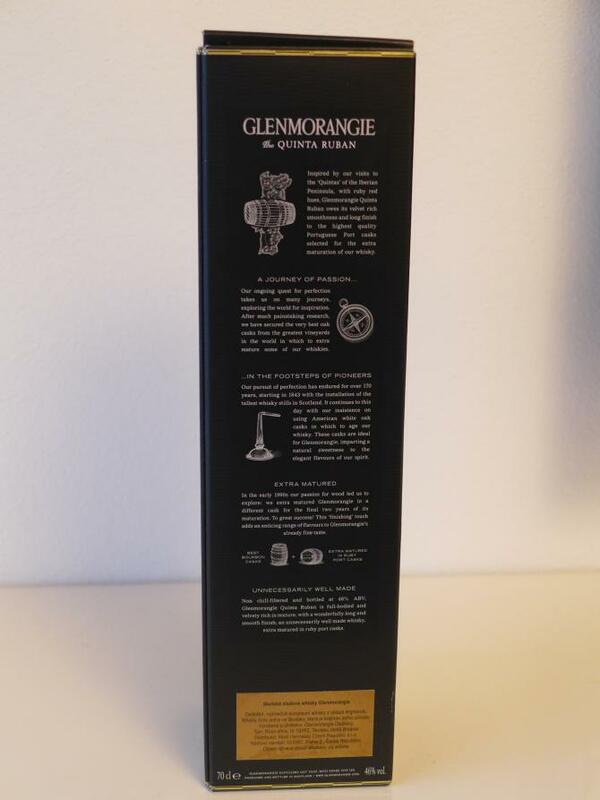 The typical glenmorangie silky mouthfeel. White pepper, sweet raspberries with dark chocolate or baking cocoa, dried cranberries, currant, sour cherries. All in all very powerfull, mouthfilling and complex. Medium finish with bitter chocolate, sour cherries and some nuts. A cooling touch of mint in the very end. Yes, I like it a lot better than at the first tasting. Today especially a lot of baking cocoa, vanilla and peanuts as well as raspberries and sour cherries, the bourbon impression is palpable. The oxidation in the bottle seems to get the Malt good, the alcoholic from the first tasting is no longer so dominant. Taste: slightly noticeable alcohol, light tingling, light fruit acid, ports, exotic nonspecific fruits, mint notes on the palate, with the 2 sips, the wood aromas are much stronger, they are very slightly bitter, tart spicy a little edgy and go into the dry over, at times he comes to my taste a little "thin" over - he has enough alcohol but the aroma I wish for a while intensively, I find interesting that wood and portnotes alternate on the palate and sometimes the one and the other flavor gains the upper hand, are in the finish the Portweinnoten rather reserved here dominates the wood and goes into sawdust. The nose is almost chewing gum-sweet. On the tongue he gets the points, wonderfully soft and creamy. For 12 years already very far. A fruity, silky soft nose. Sweet plums and apricots. Some nut. The fruit sweetness is steady and carries the entire nose. The taste of a malt candy settles on the tongue. Roasted coffee beans and milk chocolate dominate at the beginning. Then a quick touch of orange marmalade. Over time comes pepper and some oak. Pretty dry on the tongue. In the finish drier with pepper, dark chocolate and orange marmalade again. In the first impression, a very mild and inconspicuous whisky with beautiful berries, but on the palate then plays out his full potential. He sets out with a spicy fruit palette and makes the taste buds dance to their full complexity. 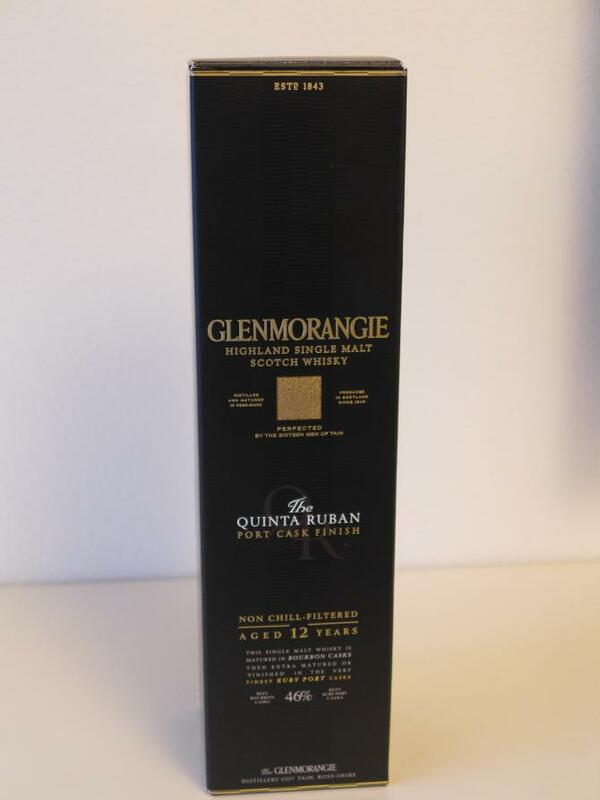 Great whisky! 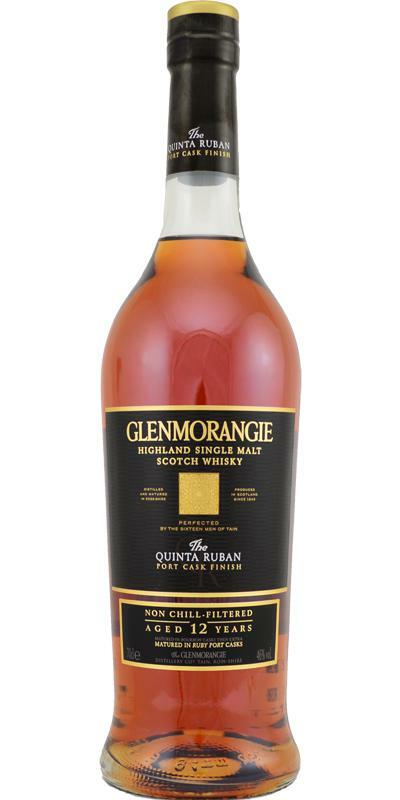 The nose promises a light spicy dram, but on the palate it reaches full! A strong full-bodied fiery-fruity onset, the port is surprisingly dry and clearly noticeable and competes with the malty sweetness for supremacy in the mouth. 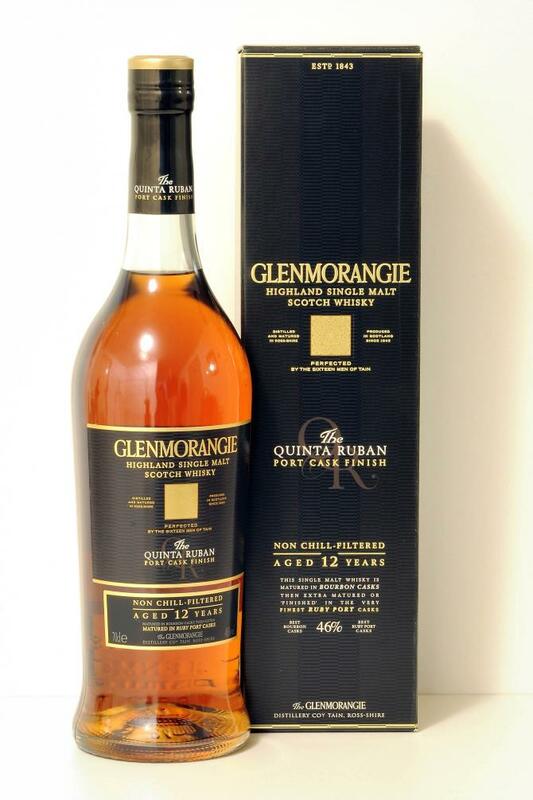 In addition beautiful oak notes, orange peel, a little vanilla, again berry fruits, spices. The alcohol is wonderfully integrated and never pushes to the fore. Dry port and citrus notes, overripe fruits and a creaminess are stuck pretty long. 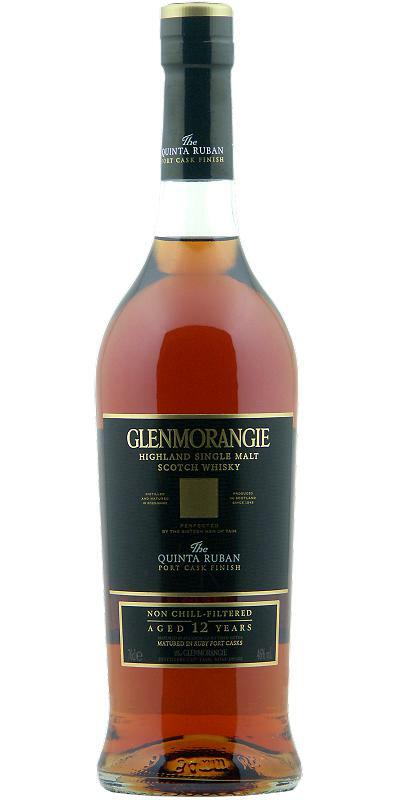 Sweet, then fruity; it shows a small note oak and just behind the nut; Malt also clearly present. It crystallizes out a citrus note, which then predominates and brings a slight bitterness. No, rather harsh; After a long time in the mouth, the malt becomes stronger, but tenor remains at the citrus note.